Groupmuse House Concert, Capitol Hill, Washington DC. Music by Mozart, Small and Chopin. Click here for more information and to reserve a spot. St. Annes's Concert Series, St. Anne's Episcopal Church, Annapolis, MD. Solo recital, including new music of Haskell Small. Click here for more information. Groupmuse House Concert, Glen, Baltimore, MD. 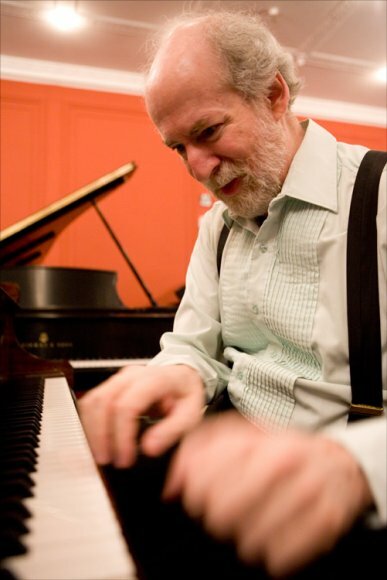 Program featuring Haskell Small's new work, "A Haunted Child", and works by Mozart and Chopin. Click here for more information and to reserve a spot. Groupmuse House Concert, Upper West Side, New York City. Program featuring Haskell Small's new work, "A Haunted Child", and works by Mozart and Chopin. Click here for more information and to reserve a spot. Good Shepherd International Concert Series, Golden Valley, MN. Solo recital, including new music of Haskell Small. Click here for more information. 1st Presbyterian Church, Eau Claire, WI. Solo recital, including new music of Haskell Small. Click here for more information. Groupmuse house concert, Wood Acres, MD. Solo recital program featuring Haskell Small's new work, "A Haunted Child", and works by Mozart and Chopin. Click here for more information and to reserve a spot. Church of the Ascension, Silver Spring, MD. Solo recital featuring Haskell Small's new work, "A Haunted Child", and works by Mozart and Chopin. Click here for more information. Memorial Hall Library, Andover, MA. Solo recital program featuring Haskell Small's new work, "A Haunted Child", and works by Mozart and Chopin. Click here for more information. Friday Artwalks in conjunction with the Washington Conservatory at the Conservatory's Glen Echo Park campus, Glen Echo, MD. A family program featuring Haskell Small's new work, "A Haunted Child". Click here for more information. As part of WMPA's Summer Chamber Series, recital at the Lyceum in Alexandria, VA. Solo recital featuring Haskell Small's new work, "A Haunted Child", and works by Mozart and Chopin. Click here for more information. Music for Meditation Concert Series, St. Andrews Episcopal Church, Ann Arbor, MI. Performance featuring music of Haskell Small and others. Click here for more information. Piano Forum, University of Michigan, Ann Arbor MI. Performance and discussion of Federico Mompou's "Musica Callada". Click here for more information. Saint Bartholomew Concert Series, Columbus, IN. Solo recital program featuring works by Haskell Small, Armando Luna, John Corigliano and Beethoven. Click here for more information. One should remember his name as he belongs to that diminishing group of pianists with whose playing one can hardly find any fault. From the first chords onwards he succeeds in creating that state—in reality so difficult to achieve—but which appears to be effortless, of just sitting there and 'only' listening to music.